For the grace of God has appeared, bringing salvation to all people, It trains us to renounce ungodly living and worldly lusts so that we might live sensible, honest, and godly lives in this present age. The law of God is a schoolmaster to bring the unsaved man and woman to Christ, but once we are saved it is the grace of God that becomes our teacher and instructor. Some are concerned that an over-emphases on God’s grace provides a license to sin.. and yet the scripture teaches that grace trains us to turn our back on godless living. Grace is a teacher that shows us the error of sinful pleasures, and worldly passions. 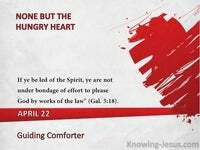 It guides us into the way of self-controlled, upright living in this present evil age.. but I am sure, you argue, that you don’t indulge in worldly passion or ungodly living! 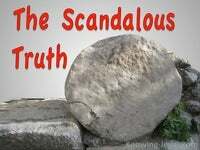 Such things smack of immorality, wickedness and evil, depraved, dishonest minds – but the literal meaning of “ungodliness” is, “not having regard for the Lord”. Everything and anything that has greater importance to you than Christ, is ungodly. 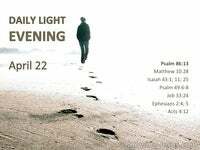 If God is sidelined and is not rightly esteemed, it equates to unrighteous living. If for any reason the Lord is not centre stage of our lives we need to address it. So what is godliness? What does it mean to live godly in Christ Jesus? 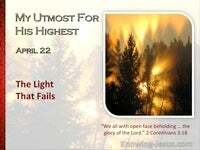 How can we have proper regard for the Lord and rightly esteem our Saviour? Well it rests on the attitudes we engender and the choices we make. We need to develop an attitude of humility, that depends entirely on the Lord, and we need to take every thought captive – keep Him central. Unlike the rest of the creation which depends on fixed properties, laws or instincts. Man was created in the image and likeness of God and given volition – free choice. While the animal & vegetable kingdoms depend on God to uphold and sustain them… man was given freewill to trust in His gracious provision or act independently of Him. Oh! all men like all creation functions and are held together by God’s mighty power, but mankind alone, who was created in God’s likeness, was granted self-autonomy. Humanity was endowed with a free-will to submit to God’s rule or to reject Him – man can believe on the Lord Jesus Christ for salvation or remain in condemnation. 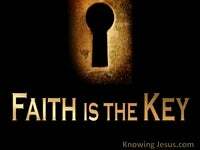 Those that trust Christ as Saviour are to renounce ungodly living and worldly lusts. Those that are saved are to live sensible, honest, and godly lives in this present age, but those that are saved like all humanity, STILL retain their volition – those that are saved can choose to walk in the flesh, or to walk in the spirit. Even believers can choose to live independently of God or in submission to Him. By GRACE we were saved – when we first trusted the Lord Jesus as Saviour. By GRACE we are to live – as we abide in Christ, rest in Him and trust His Word, and it is GRACE that teaches us to renounce ungodliness and worldly passions. It is grace that trains us and to deny ungodliness and worldly desires and passion. It is grace that enables us to live self-controlled, upright, and godly lives. It is grace that lets us live in a sensible, righteous and godly way, in the present age. 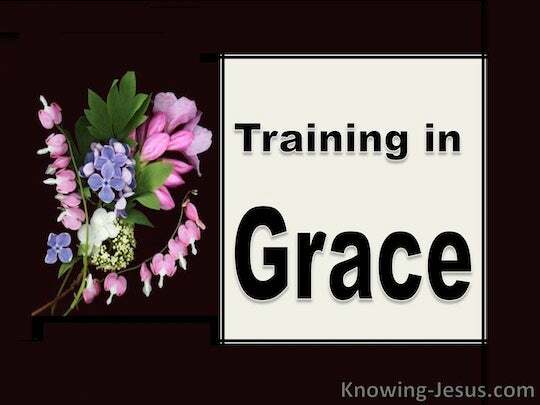 All who have received a new life in Christ, BY grace, must be trained THROUGH grace. Grace brings to our understanding the great love and goodness of God towards us. It is by grace we are forgiven; saved; sealed – clothed in Christ’s own righteousness. 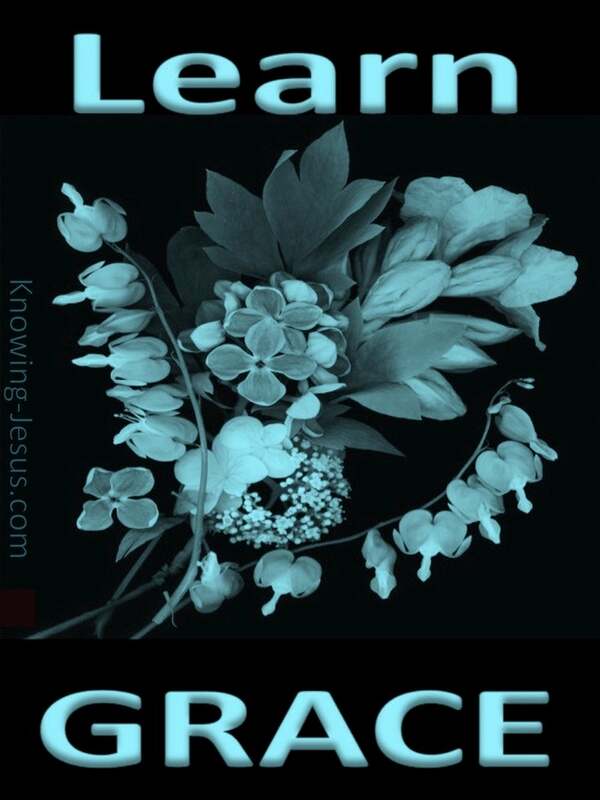 It’s by grace we grow in grace and are accepted by God and seated in heavenly places. It’s by grace we are made children of God and joint-heirs and inheritors with Christ. We have been given the riches of God’s grace and glory – and are complete in Christ. Should we not acknowledge His amazing grace and unconditional love towards us – for when we do, grace will start to teach us and to train us in godly living. For the grace of God has appeared, bringing salvation to all people, It trains us to renounce ungodly living and worldly lusts so that we might live sensible, honest, and godly lives in this present age.